Compensation for Car Accident Injuries in South Florida | Law Office of Andrew G. Rosenberg, P.A. In 2017, there were more than 400,000 car crashes in Florida. These accidents resulted in more than 3,100 deaths and 254,000 injuries. Broward County and Miami-Dade County were among the Florida counties with the highest number of accidents: 41,334 crashes were reported in Broward, and 65,959 crashes were reported in Miami-Dade. An additional 26,956 crashes were reported in Palm Beach County. These are big numbers. However, each crash impacts individuals in personal and significant ways. If you're one of the people hurt in a South Florida car accident, or if you lost a loved one as a result, the Law Office of Andrew G. Rosenberg, P.A. is available to help. We understand you're under a lot of stress and have a lot at stake. Our goal is to help you get the best possible outcome in your case while making sure you're comfortable with the legal process. We'll treat you like family. Drunk or drugged driving. Motorists under the influence of alcohol or drugs may have impaired reaction times and take unnecessary risks that result in serious accidents. Drowsy drivers. Tired people behind the wheel have different reaction times than well-rested individuals. They can be as dangerous as drunk drivers. Distraction. Texting, talking, daydreaming, and any other activities that take a person's hands off the wheel or eyes away from the road puts everyone at risk. Speeding. They may not be able to stop in enough time to avoid a collision or may lose control of their vehicle. Aggression or road rage. Weaving in and out of traffic, tailgating, or otherwise acting aggressively on the road may cause significant crashes. Traumatic brain injuries. Your brain may be hurt by the force of the crash or if you hit your head during the accident. The specific symptoms you experience depend on what part of the brain is damaged. Spinal cord injuries. A neck or back injury can result in spinal cord damage that can leave you paralyzed for the rest of your life. Broken bones. Any bone can break in a car crash including those in the face, arms, legs, ribs, hips, pelvis, and others. Internal injuries. Internal bleeding and harm to organs such as lungs, spleen, liver and kidneys are possible in a car crash. Amputations. Serious accidents may result in complicated bone breaks that require amputation or severed limbs at the scene of the wreck. Burns. Some crashes cause fires or explosions that result in painful and dangerous burns. It's important to see a doctor for a prompt diagnosis and treatment plan after any motor vehicle accident. At first, you might not think you were injured, but some conditions take days or weeks to present symptoms. Gathering evidence. Pictures, witness statements, medical records, and other evidence will be important to your claim and potential compensation. Identifying all applicable insurance policies. Most car accident recoveries come from insurance coverage. It's important to identify all of the potential coverage reimbursements that may be applicable to your case so the right claims can be made. Being cautious with insurance adjusters. Adjusters have a job to do: minimize your settlement so the insurance company can maximize its profits. Despite how nice an adjuster may seem, remember that anything you say to him or her may be used against you. Filing your car accident case before the statute of limitations expires. In most cases, you have four years from the date of your accident to file a case in a Florida court. However, you shouldn't wait that long. There are advantages to filing your claim closer to the date of your accident. You don’t have to take on the burden of doing any of this yourself. Instead, you have the right to hire an experienced car accident lawyer to make sure all of your rights are protected. Medical costs. This includes hospitalizations, surgeries, medications, doctors’ appointments, rehabilitative therapies, and any other healthcare expense you incur as a result of your accident injuries. Lost income. Whatever you're unable to earn because of your injuries may be part of your recovery. This includes wages, benefits, and income from self-employment. Out-of-pocket costs. Any expenses you incur because of the accident, including property damage, should be part of your settlement. Physical pain and emotional suffering. These may be the hardest to quantify but the most important of your accident-related damages. 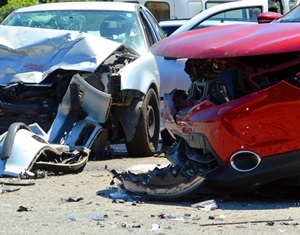 If you were hurt in a South Florida auto accident, contact Attorney Andrew G. Rosenberg directly to learn more about your rights and potential recovery. You'll get an honest case evaluation and help making the difficult decisions that are ahead of you. Contact him by using the phone numbers or form on this page—he will treat you like a member of his family.